Edwina Alexander is writing a diary for HorsesintheSouth.com as she prepares for the Rolex FEI World Cup Jumping Final in Geneva from 14-18 April 2010. Here is Edwina’s first entry. I normally wake up at 7.00am and I am in the stables by 8.00am ready to ride the horses. Every day is a little bit different but on average I ride between 6 to 8 horses each day, and I will keep riding until 1.00pm. I’ll start riding again between 2.00pm-4.00pm. I then spend some time in the office in the afternoon catching up with emails, organising travel arrangements for upcoming shows, sending videos to clients. I feel more relaxed if I know exactly what’s going on! How have you been keeping busy since your Rolex FEI World Cup Jumping series win in Vigo? I kept Socrates (Cevo Socrates) and Itot (Cevo Itot Du Château) busy in the lead up to Gothenburg, where they both jumped well. Since Gothenburg they have both had a break from showing which has included one easy day during the week, some hacking in the woods, dressage and a bit of a lunge in the afternoon. I have been to Australia since Gothenburg but they have both been kept active with some small jumps work. What kind of character is Itot? I’ve had him for two years and he’s a funny horse and actually extremely sensitive. He can be hard to catch in the stables and to get out of the box, and more times than not my groom will have some carrots or sugar when I’m trying to get on him! Who do you see as your main threats at the Rolex FEI World Cup Final in Geneva and who do you admire? I would have to say Jessica (Kürten) is probably my biggest threat because she and her horse are both very competitive. I admire her a lot because she is tough and determined, and she seems to have that edge. Pénélope (Leprevost) is another rider that I admire as she is so quick. You never know with Marcus (Ehning), but he’s one of the best riders in the world and it will depend on how well he has his horse organised. How do you rate your chances at the Rolex FEI World Cup Final in Geneva? After how well Itot jumped at ‘s-Hertogenbosch last weekend I feel pretty good and really confident and relaxed. Itot jumped very well in Gothenburg and he definitely feels better than ever at the moment. After the last World Cup Final in Las Vegas I wasn’t anywhere near as well prepared as I am now. This time around Itot doesn’t have to travel as far and he and I both know the arena in Geneva very well. How will you been preparing for WEG? This year is one of my biggest years ever. 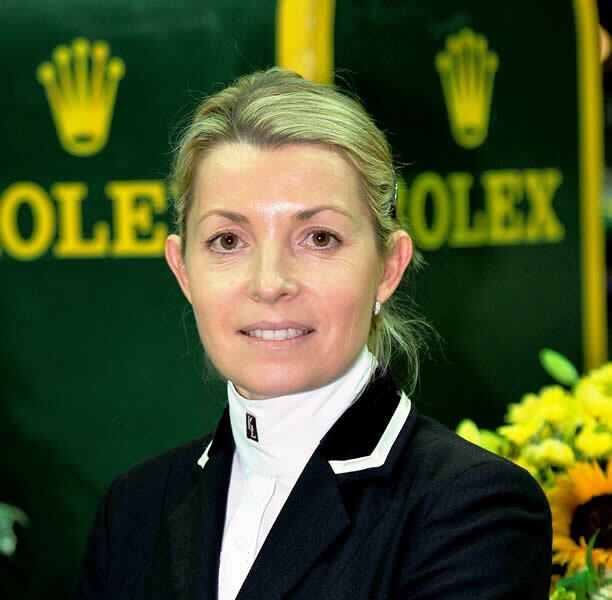 I have the Rolex FEI World Cup Final and WEG and also the Global Champions Tour which I need to qualify for. I’ll use the Global Champions Tour shows to prepare Itot for WEG, but I’m conscious that I don’t want him to do too many shows or too much travelling.